We went to "First-Pres" for church this morning. 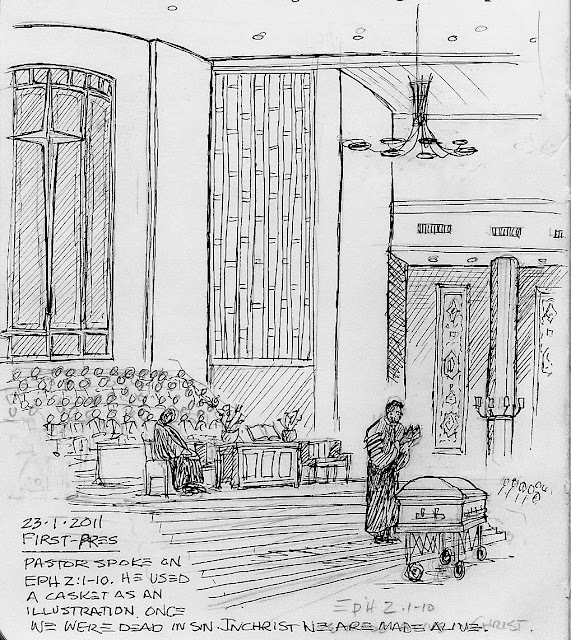 The Pastor surprised everyone and used an empty casket to illustrate his message from Ephesians 2:1-10 titled, "Dead Man Walking". It was a very good challenge. 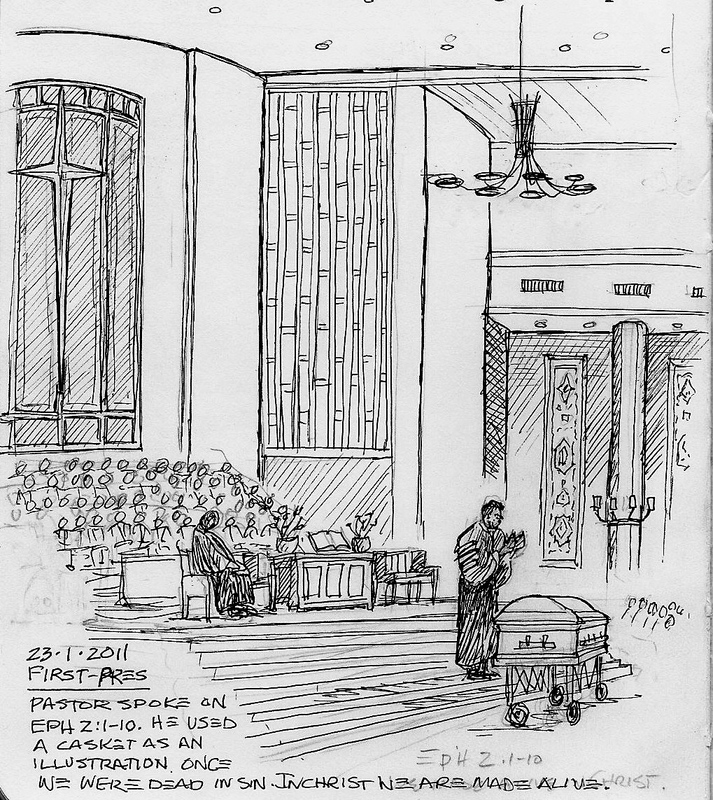 I enjoyed sketching this scene and trying the capture the size of this auditorium. The stain glass windows and high ceiling made me miss my Basel Cathedral.